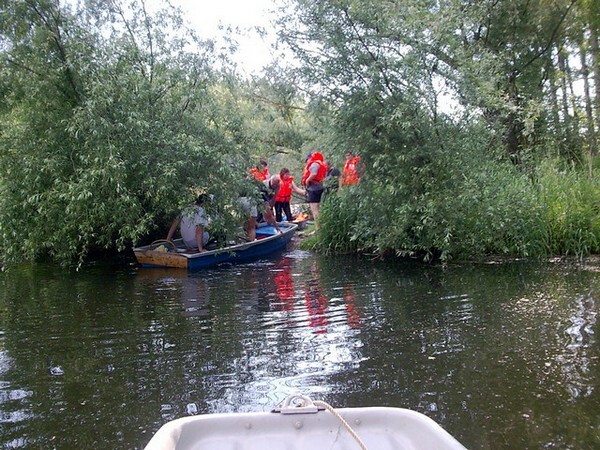 Yachting and boat trip with picnic - We are inviting each adventurous tourist onto an all-day trip at the Danube river. Who loves nature, won’t be disappointed! Come and relax after all-year‘s stress at our! Our newly build guesthouse provides you and your family with confort and serenity. 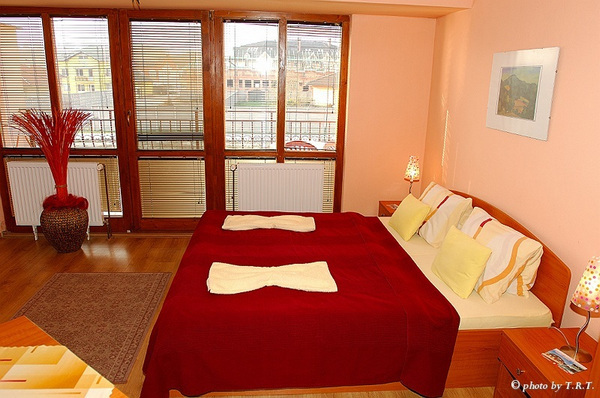 Our guesthouses offer spacious and elegantly furnitured rooms for two, three, four or five persons. You will find there also a living room and kitchen, a separated bedroom, bathroom and a balcony resp. terrace. In the fully equipped kitchen you will be able to prepare almost any dish, but you can also try the local food in the near restaurant at Hotel Orchidea. If you want to surf on the internet, you can use our free wifi broadband internet access, while your children are playing out in the garden on the slide or the swing. 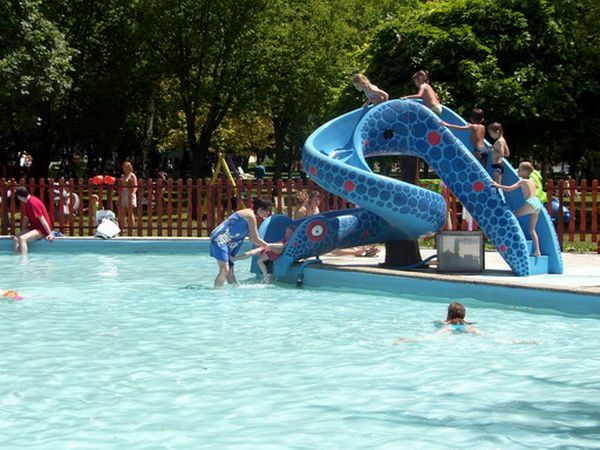 However, nothing ensures the perfect recreation and regeneration better, than the famous, internationally recognized Thermalpark in Veľký Meder, which is situated only a few steps away from our location. It is open all-year, so even in the wintertime you are free to choose between a selection of sport activities and relax and during summer you can try out one of five with 25-28°C thermal water filled swimming pools. If our family services raised your interest you can contact us and book your accomodation today via telephone, e-mail or by filling out the questionnaire on our webpage. 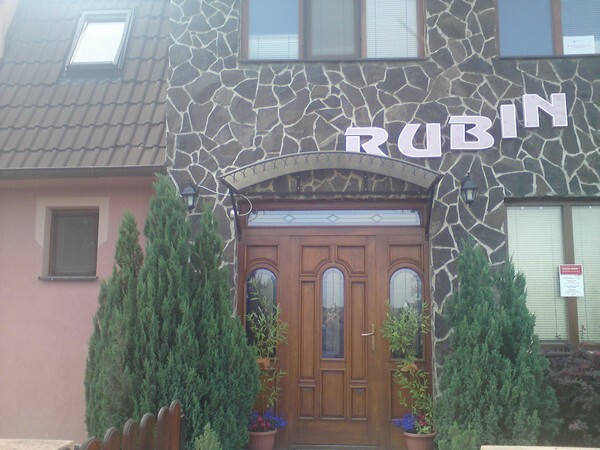 Our guesthouse is located in the Southwestern part of Slovakia, north of the Danube river at the heart of Csallóköz, which is the biggest inter-river island in Europe. This plain part of the Slovak Republic is the most fertile area. The inhabitants of Csallóköz have always used the power of the Litte-Danube river to propel the wheels on their mills. These mills nowadays are used only as tehnical relicts, but due to their excellent state can be visited by tourists. 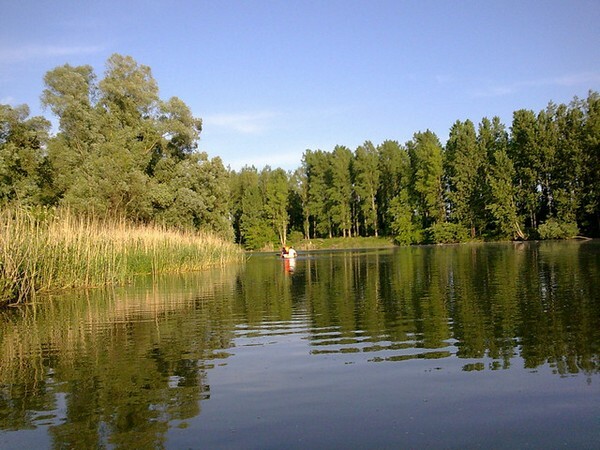 The calm water of the Little Danube provides ideal circumstances for the lovers of water tourism. The thermal waters in Csallóköz have prominently prosperous mineral content, therefore if you are tired from tourism and want to relax, you are welcome to use the services of the Thermalpark in Veľký Meder. Veľký Meder ubytovanie predstavuje skvelú voľbu pre kohokoľvek, kto túži po nerušenom oddychu. Ten dopraje kúpalisko Thermal Corvinus, v blízkosti ktorého sa nachádzajú penzióny Veľký Meder. Stačí si vybrať želané ubytovacie zariadenie na stránke Ubytovanienaslovensku.eu a dovolenka sa môže začať!